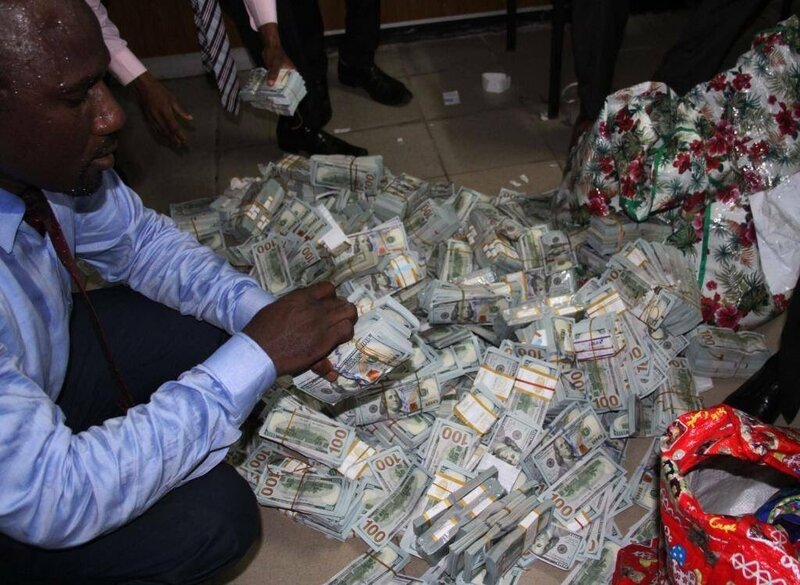 A sweating EFCC official checks bundles of US greenbacks! 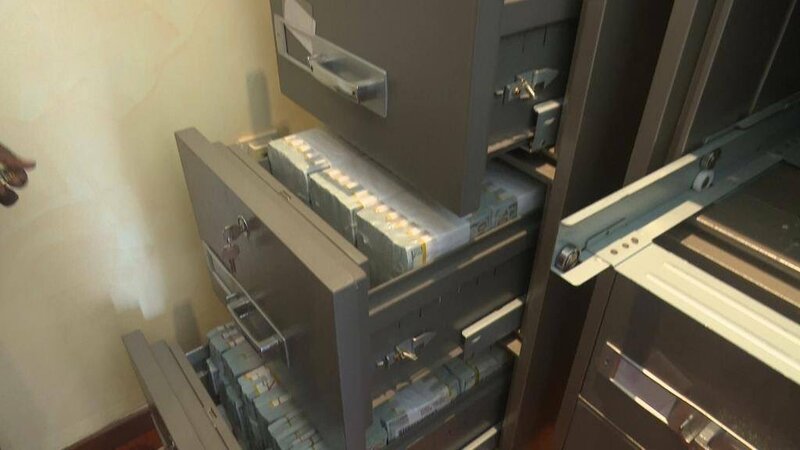 NOTE: There are reports on some online news sites that the property belongs to Adamu Muazu, one-time governor of Bauchi State in the impoverished North-eastern part of the country. 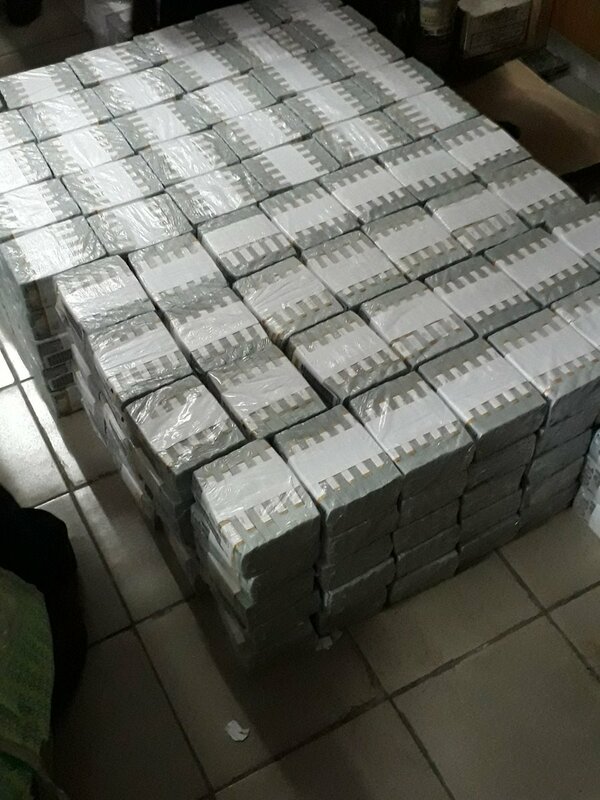 Muazu is also an ex-PDP chairman.